Oil massage is a very common treatment that is done at home. Oil massage can be done by coconut oil, almond oil, castor oil, etc. Hot oil therapy is very effective treatment for hair. It can be done by massaging the hair with warm oil and then hot therapy is followed. This therapy involves wrapping a towel that is dipped in hot water around the head. This should be done for 15 minutes. Later you can wash your hair with a mild shampoo. Dandruff can be treated with this hair pack. Mix henna powder, Alma powder, egg, coffee powder, tea liquor, lemon juice and olive oil. Make a paste of these ingredients and apply it on your hair. You should wait for 40 minutes before washing it off. You can then shampoo your hair with a mild shampoo. This pack rejuvenates your hair and it should be once a week. Medications are also an option if you do not want to use hair treatments at home. A new age technology that is known as Hair Rebonding helps in transforming your hair. So, you have glossy and straight hair instead of the originally curly and unmanageable hair. Your hair takes the appearance of black satin and transforms into your dream hair.This treatment resembles the process of hair straightening. It is a chemical based treatment. The basic structure of hair is genetically determined. The natural bonding of the hair gives it its shape, i.e., straight, curly or wavy. In hair rebonding treatment, the hair is passed through some chemical process. Items like softeners and relaxants break the natural bond of the hair. Neutralizer is later applied on the hair to restructure the bond of the hair. After restructuring the natural bond of the hair, the wavy or curly hair becomes straight. It is generally a permanent process as long as the hair grows longer in length. 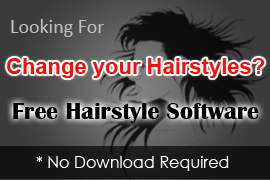 Hair is a very important part of the looks and hence, hair fall is a very serious concern among men and women alike. When one is experiencing hair fall, stopping the hair fall becomes the topmost priority. But it must be noted that hair re-growth is as important as averting hair fall. There are numerous remedies that help in hair re-growth. Here are few pointers that will help you in hair re-growth. People in the present times are leading a very fast paced life. Achieving the targets and achieving the goals has taken the top priority in life. This leads to stress and frustration. Mental pressure is a common result of a fast life. It plays havoc with health and general well being of every person. This, in turn, affects the growth and quality of hair. 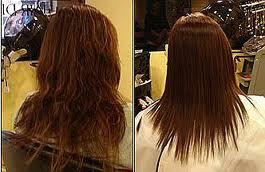 Hair straightening is a process that is used for removing the waves or curls that are naturally on the hair. In present times, straight hair is taking the world of fashion by storm and young crowds are opting for this trend on a large scale. It is a matter of pride to be born naturally with straight hair but for the ones, who are born with curly or wavy hair; this look can be achieved by the process of hair straightening. Numerous techniques come to rescue these people as they can get straight hair with few simple processes. One thing must be kept in mind that hair transplant should be used only when all the remedies have failed. This process should be used as a last resort. The main idea behind this is expense. 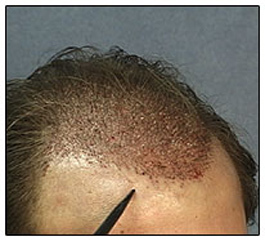 As the process of hair transplant is and extensive one, it takes a long time and the cost is very high. Hair transplant cannot be done repeatedly. Hence, it is advisable to resort to hair transplant only when there is no other way to arrest hair fall or stimulate hair re-growth. Hair Rebonding is the answer to all your hair worries. It is ruling the hair treatments in the world of fashion. The girls of present generation are opting for this treatment.Time required for completing the whole process of rebonding largely depends on the length of the hair. For hair that is shoulder length, the time taken is 4 hours. For hair that reaches the mid back, it takes over 8 hours to complete the whole process. The process starts with shampooing the hair minus the conditioner. Hair is then blown dry fully. The full hair is portioned into shafts and then relaxants are applied in these partitions. The hair that is drenched in softeners and relaxants is kept in straight position with the help of a thin board made of plastic. The time should not exceed more than half an hour. Leaving the hair over exposed to the relaxants as it may harm the hair. Steaming of hair is the next step. Steaming is done depending on the hair type and then the hair is rinsed off. Steaming is done for time gap varying from 10 minutes to 40 minutes. Hair is then blow dried and keratin lotion is applied on the hair. Ironing the hair is the next step. Hair is iron by using a flat iron. You must opt for a ceramic iron instead of metal iron. The curls that are remaining are straightened by the iron. The process of ironing is repeated until the curls become straight and a shine is added to the hair. This process follows the reapplication of neutralizer that stabilizes and rebinds the hair. This is washed off with cold water and then it is again blow dried. After that, hair serum is applied as it gives volume to the hair. The hair is again ironed to give a final touch to the whole process. You will be given a whole list of do’s and don’ts by the experts at the salon. You will have to follow these guidelines after hair rebonding treatment. These guidelines include that you should not wash your hair at least three days after the treatment. You will not be allowed to use clips or any other hair accessories. You should protect your hair from getting wet. For this, you should wear one shower cap while bathing. Stride away from a stylist, who is inefficient and inexperienced. if you want to go for hair rebonding, an inexperienced stylist can over use chemicals that can cause harm to your hair. This can also lead to hair breakage, hair fall, thinning and drying. If you take good care of your hair after the rebonding session, you are sure to get beautiful hair. The cost of the process is very high, so you must keep in mind this pointer before going for this treatment. Apply oil on the hair and then steam the hair for 15 minutes. Hot therapy should be done by using a hot towel therapy. You are advised to oil your hair regularly. You should also opt for a shampoo that is meant specifically for straight hair. You should use a conditioner after shampooing your hair. Hair serum is also a vital requirement. Blow drying the hair regularly is big no-no. Make a hair pack made of yoghurt, olive oil, egg, aloe vera should be used. Intake of green vegetables, nuts and sprouts is very essential. A touch up is required after three or after every three months. This depends on the rate of hair growth. Numerous hair packs are available in the markets that help in re-growth of hair. If these remedies prove to be in vain, you can resort to taking medications that will help in the re-growth of hair. A good home remedy for hair fall is banana. It helps in the re-growth of hair. First you need to take ripe banana, put it in a mixer after peeling. Add two teaspoons of lemon juice or any other citric juice. Wash your full scalp with milk that is fresh and apply the mixture on your scalp. The next step is to cover your head with hot towel for as long as 30 to 40 minutes. Rinse your hair after this with a mild shampoo. This will control hair fall as well as add sheen to your hair. Potato can also be used for this treatment. You can make a mask with grated potato, honey and curd. Applying this paste on your scalp will help a lot by averting hair fall and also stimulates the growth of new hairs. You can also start massaging your hair with coconut oil, castor oil, almond oil, etc. on a regular basis. This will also help in hair re-growth. Have a balanced diet that is rich in protein, vitamins and other vital nutrients like Iodine and Sulphur, etc. Include soaybean in your diet as it helps in regrowth of hair. Finasteride is a drug that you can depend upon for arresting hair fall. Medical supervision is a must before you start taking this medication. Minoxidil is also used for treating the hair loss. It also helps in re-growth of hair. This can be taken with any prescription but it is advisable to seek medical attention before adopting this medicine. Rising level of pollution and the presence of harmful pollutants affect the quality of hair. The result is numerous hair problems. The effects include hair fall, dandruff, baldness, etc. Hair fall can be due to various reasons but the ultimate result in all the cases is the same. You can avert hair fall by various means. The basic hair care regime includes washing the hair, conditioning, brushing the hair and eating a balanced diet by supplying essential nutrients to the hair. These are all preventive measures that arrest hair fall before the signs appear. The main struggle begins when the hair fall actually initiates. Constant hair fall over a long period of time results in receding hair lines. Once you fall into this trap, you must not lose heart; there are numerous methods that will help in arresting hair fall. These methods will help you out of this problem so that you can move ahead in life. You can achieve straight and smooth hair that is streamlined by few processes like hair straightening. You can get your hair permanently or temporarily straightened. There are numerous ways by which you can achieve this look for your hair. You can use irons that make the hair flat and you can use hot combs also for this. Hot combs remove the curls and waves from the hair. If running to beauty salons is too much for you, you can make use of certain shampoos and conditioners that are made for this purpose. These will help you get straight hair right in the comfort of your home. If you want your hair to be permanently straightened or if you want to opt for this look for a longer period of time, then the process becomes a bit longer. For obtaining this result, you will have to go for rebonding of your hair. 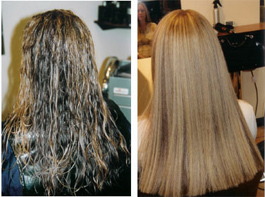 Hair rebonding is an advanced method of hair straightening. In this process, the natural bonding of the hair breaks due to the use of certain chemicals known as softeners and relaxants. The hair is then given a straight look by the use of neutralizers. Every remaining curls and waves are removed by iron the hair in the last step of this process. The hair remains straight for a longer period of time. You should opt for a good itinerary for your hair care as the ill use of chemicals on your hair can damage your hair. Hence, you must always use straight hair shampoo and conditioner after you have straightened your hair. There are several hair packs that can be used for providing nourishment to your hair. These packs can be made at home or you can buy it from the market. It is advised that if your present look seems boring to you then you should go for hair straightening. Hair transplant involves surgery and hence it is advisable that you discuss your case with good trichologists. Their consultation will help you understand your case your better. They will be able to evaluate your case correctly and will be able to tell you whether there is a need for hair transplant or not. If your doctor gives you a green signal for hair transplant, it is mandatory to get it done by an experienced surgeon. If this process is done by an experienced surgeon, you will be sure to get better results. After proper transplant is done, it looks very natural. Even the most eminent and experienced hair stylists will fail to distinguish it from natural hair. Hair comes across as the most cherished part of one’s looks and so, if your hair shows signs of receding then it really hit you hard. Many people tend to lose confidence with receding hair line. If this happens at youthful age then it becomes a cause of serious concern. Feelings of Sorrow, worry and humiliation clouds the mind of the person who sees his hair line receding. It becomes worse for a person who holds a high position or has high self esteem. Loss of hair and receding hair line mars the public image one has made for himself. Hair transplant comes to the rescue of these people who have problem of hair fall.It is vital to find necessary cure before one starts getting bald at a young age. Hair transplant comes to the rescue of these people who have problem of hair fall.It is vital to find necessary cure before one starts getting bald at a young age.